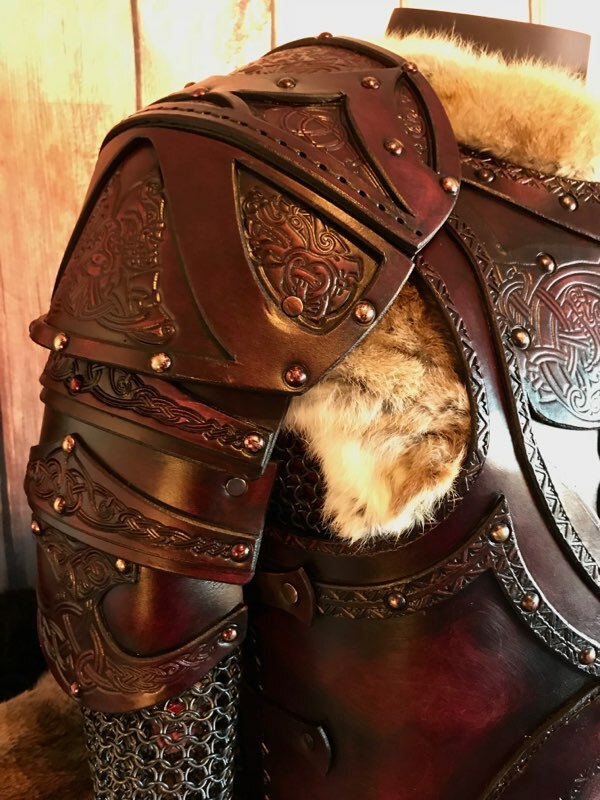 Add gilding to your armour. 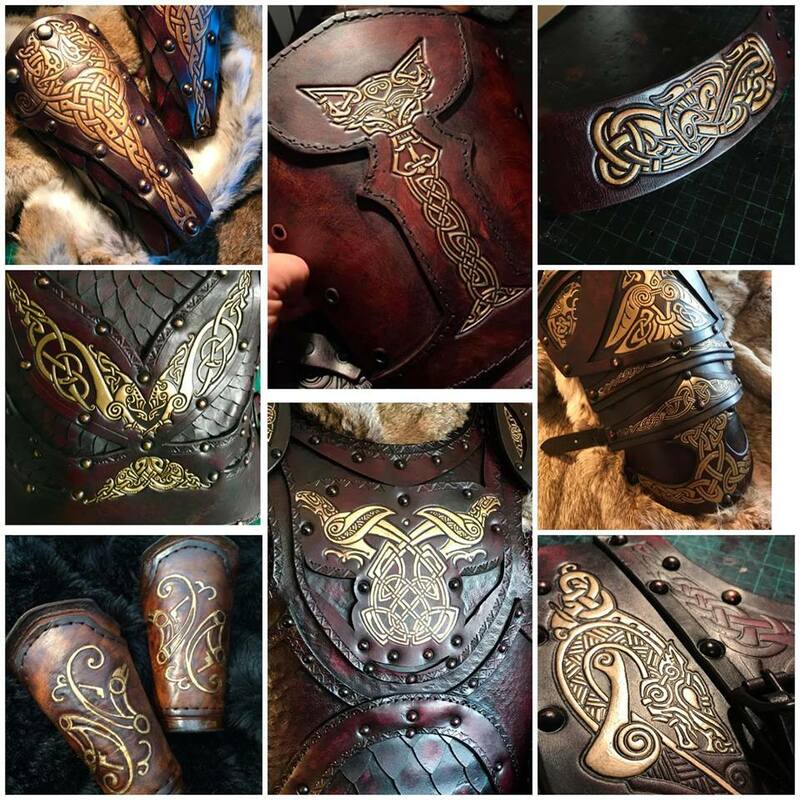 Gilding is the application of a gold or silver material to highlight the knotwork detail on the leather. 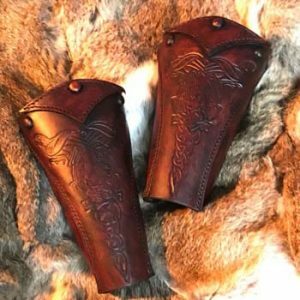 The Clan Chief Armour is hand built to the highest standards by Black Raven Armoury’s master armorsmiths from the very best? quality leather. 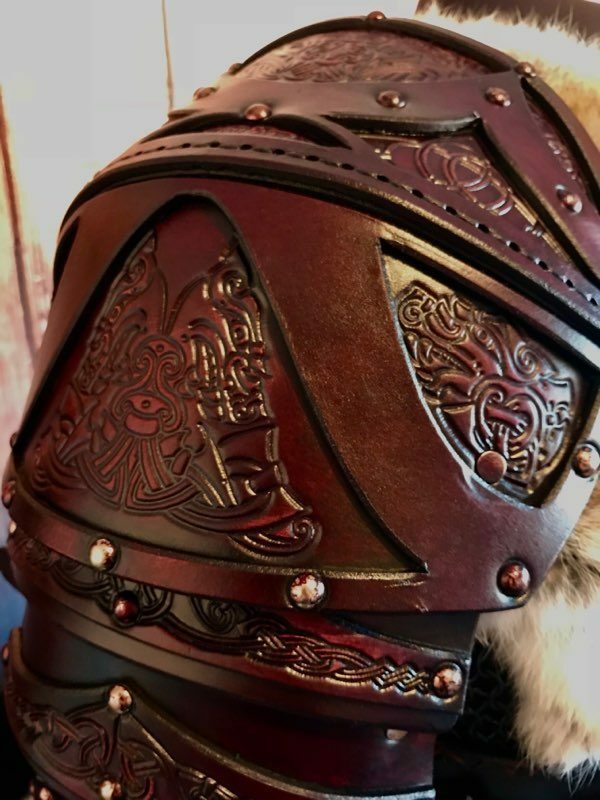 This armour has been hand cut, hand embossed, riveted, dyed, antiqued and displays a large chest embossing with a smaller edge embossing at the edges. 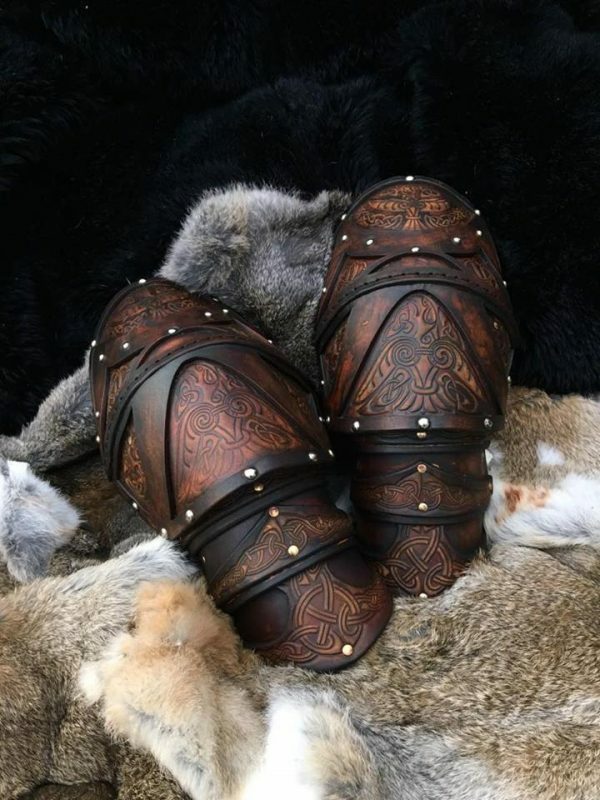 The Clan Chief Leather SCA Shoulders are formed to a practical shape suitable for combat comfort. This? 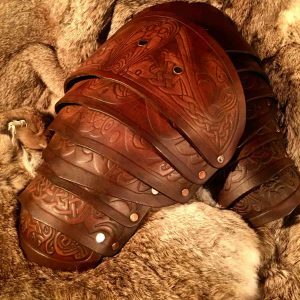 armour is adjustable for fit at the top and around the biceps. 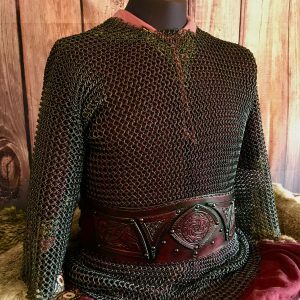 This armour is designed to be worn and used and is suitable for LARPING and re-enactment and is detailed enough to be used on screen, it will stand up to close scrutiny and the sternest critique.